Chrysler Service in Detroit, MI | Ray Laethem DCJR " "
Service your Chrysler vehicle at your trusted Detroit, MI Chrysler dealership. 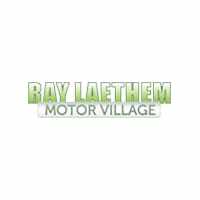 Ray Laethem Chrysler Dodge Jeep Ram in Detroit, MI has you covered on all service options, regular and unexpected. Whether you’re in need of a tire rotation, oil change and fluid replacements, or have just been in a collision, need a transmission replacement or something more severe, our Chrysler-certified mechanics are here to help. You can schedule your first appointment with our team at Ray Laethem Chrysler Dodge Jeep Ram in Detroit, MI today! Go to our website or head on down to our Detroit, MI dealership to get started.